I've talked about this program before. But this year we have expanded it to help even more kids. So I need to talk about it some more to raise funds for it! Since I moved to Haiti in 2008, there have always been parents asking me to pay to send their children to school. I read about the idea of matching parents contributions in a book. I loved the idea because it required the parents to put forth an effort in helping their own children. This promotes dignity and responsibility. 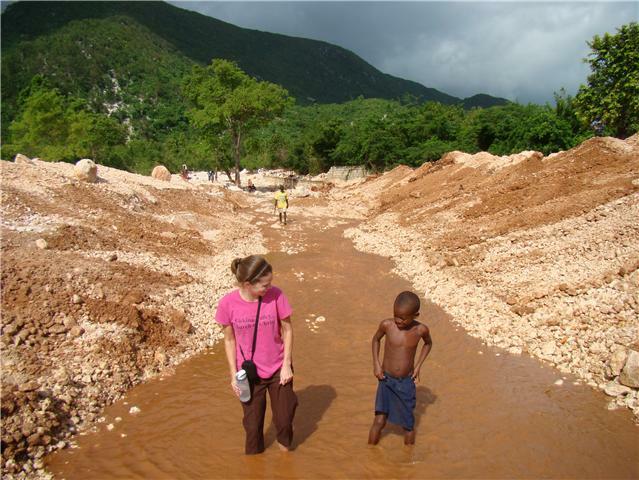 But the reality is that a lot of parents in Haiti can not afford to send their children to school. They need a hand up. Invest Hope has a school match savings program. This year, 35 children are enrolled and their parents are already busy contributing to their accounts! So we want you to meet some of these children and learn what their dreams are. This is Coralee. She is being raised by a single mom who works really hard to take care of her and her older brother. But the money she makes isn't enough to pay for school for her children. 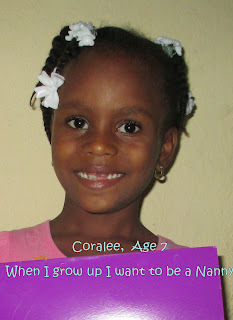 Coralee is a high energy, high pitched giggling, squirmy 7 year old. I wish you could hear her little high pitched voice. She says that she loves babies and when she grows up she wants to be a nanny and take care of them. Will you help us help her mother send her to school? Check payable to "Licking Valley Church of Christ"
put "Invest Hope" in the memo line of the check.